and receive Athena's Soy Massage Candle for only $4.99, an $18.00 value. It's a candle! It's a massage oil! It's a moisturizer! 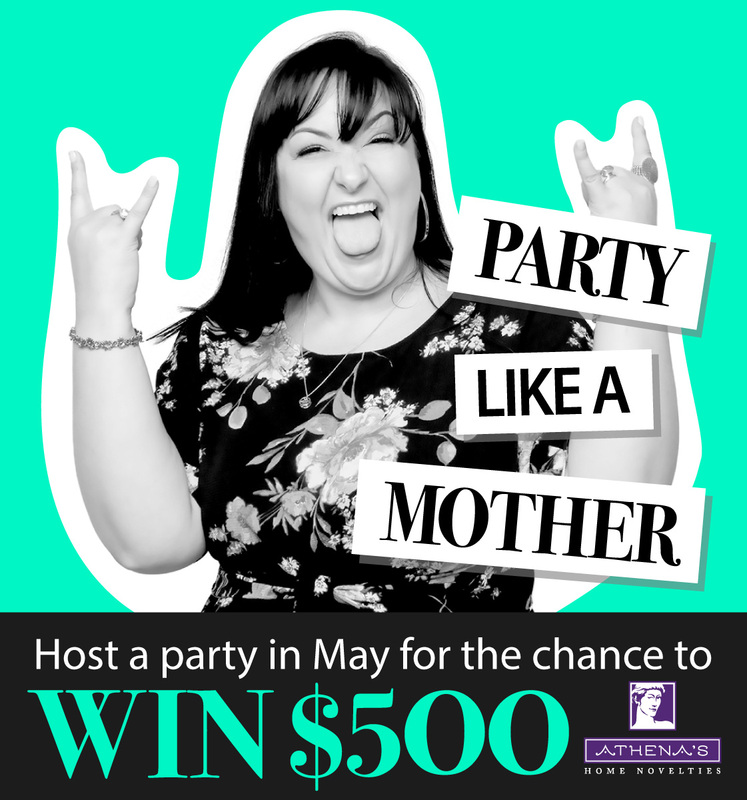 *Party must be held in May and have at least $500 in total party sales. 10% of your party's total sales in FREE products! A $500.00 party would earn you $50.00 in FREE products! Free Hostess credits with party sales over $150.00! $5.00 in FREE product credit for every party booked off of your party! Our VIP Exclusive, The Triple Goddess, is only $24.99 (a retail value of $55.00.) when you host a party with at least $500 in retail sales thru May. Your guests can purchase the same vibe AT IT'S DISCOUNT PRICE with a qualifying order of $100 or more. CLICK HERE to get your party started. Gather Your Friends for Fabulous Fun and have a blast shopping from home with joy and laughter. We offer a sensational selection of gifts, toys, bath and body products for your friends and your lover. There is something new and great for you and everyone on your gift list! Find the perfect gifts for Moms, Dads and Grads. We have all the latest inspirations and tips for a rewarding love life. Athena's Goddesses and Adoni have secrets to share with you that can make even an old relationship new again. CELEBRATE SPRING! Host a party your friends will love and remember. There are so many reasons to throw an Athena's party. One of our Goddesses or Adoni can customize your experience to suit you and your guests. Or you and your guests can just show up and we'll bring the fun and good vibrations. Plus our bath, body and boudoir products are fabulous. You're going to love the products we have carefully tested and created just for you. We have perfect selections just for you, your lover or best friend. You will acquire titillating tips and techniques that will improve your relationships! You don't have to leave your home or spend a lot of money. Our parties are FREE and you'll earn FREE products! We can't wait to show you our products! You and your friends will be glad you hosted an Athena's party. Ask Your Goddess for Details! An Athena's Home Novelty party is held in a private home where guests can view, sample and purchase sensuous products in a safe environment - a place where they can feel comfortable talking about products that they may be unfamiliar with. Guests are encouraged to ask questions about how these products are used and how they relate to an individual's or couple's intimate relationship. A knowledgeable Athena's Goddess or Adonis will help to create an open, sensitive atmosphere necessary for such questions to be answered throughout the party. Get more information on an Athena’s PARTY! Incorporated in 1998 and based in Woonsocket, RI, Athena's is one of the country's premier adult novelty party plan companies with over 1,200 active Goddesses and Adoni operating in 44 states across the country.